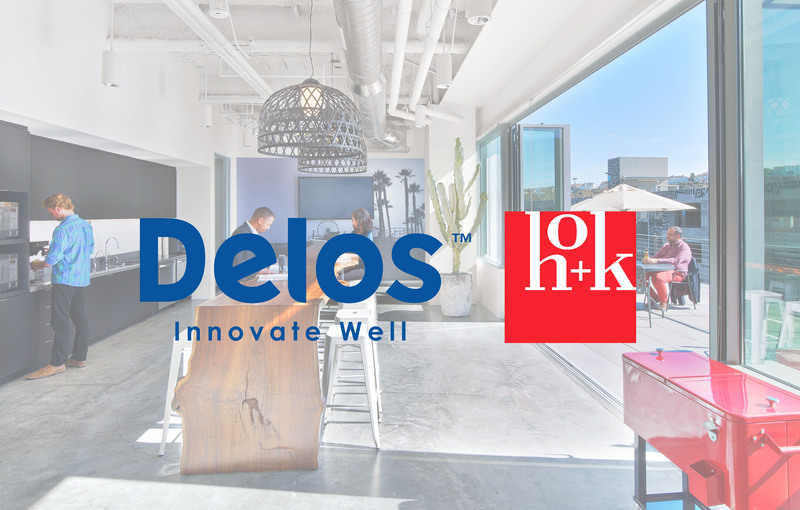 Delos, a wellness real estate and technology firm, has announced a partnership with HOK, a global design, architecture and engineering firm, to accelerate the organization’s mission to integrate health and wellness into the built environment. The new partnership will leverage HOK’s worldwide network of designers and clients to further expand the global reach of the WELL Building Standard (WELL). As part of this partnership, HOK is undertaking a major initiative to educate and professionally accredit its design teams through the WELL Accredited Professional (WELL AP) program, a credential signifying advanced knowledge of health and well-being in the built environment and specialization in WELL. HOK also will collaborate with the International WELL Building Institute (IWBI) to provide research and insight from subject matter experts that will strengthen the foundation of WELL. Bill Hellmuth, AIA, LEED AP, president and CEO of HOK, has joined the Delos Advisory Board, a distinguished group of industry leaders in science, medicine, real estate, sustainability and government affairs. Hellmuth, who leads the design of HOK projects worldwide, will provide strategic counsel on design that will guide the development of healthier buildings. HOK was the interior design firm and sustainability consultant for TD Bank Group’s (TD) newly renovated office within the Toronto-Dominion Centre in downtown Toronto. The project achieved WELL Certification at the Gold level, was the first project globally to be certified under v1 of WELL and was Canada’s first within the standard’s New and Existing Interiors typology. Delos and HOK are working with the real estate development company Strategic Property Partners (SPP) on the design of multiple buildings within its mixed-use development on a 53-acre site in downtown Tampa. As the world’s first WELL Certified city district, this multi-phase project will help create a roadmap for how cities worldwide can be designed and developed to support public health. Individual building projects that HOK and SPP are collaborating on include the new 320,000-sq.-ft. University of South Florida Morsani College of Medicine and Heart Institute, an adjoining 300,000-sq.-ft. medical office building and a parking, residential and retail building. Pioneered by Delos and administered by IWBI, WELL is a performance-based system for measuring, certifying and monitoring features that impact human health and well-being in the built environment. It marries best practices in design and construction with evidence-based medical and scientific research—harnessing the built environment as a vehicle to support human health and well-being. WELL Certified spaces can help create a built environment that improves the nutrition, fitness, mood, sleep patterns and performance of its occupants. Third-party certification for WELL is provided through IWBI’s collaboration with Green Business Certification Inc. (GBCI), the same organization that administers LEED certification. WELL works harmoniously with LEED and the Living Building Challenge, and is expanding alignment with other international leading green building systems like Three Star, Green Star and BREEAM. To date, WELL has enrolled nearly 55 million square feet of over 260 building projects in 23 countries.